← Its a Good Day! 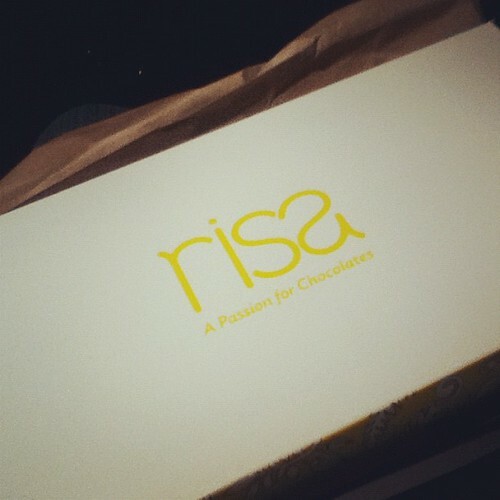 Discovered Risa at the recently concluded St. James Bazaar. Hubby ordered a box of chocolates for me knowing that I’m such a chocolate lover. Enjoyed their classic and orange truffle selection as well as their Christmas Chocolate selection – Salted Caramel, Strawberry Vinaigrette, Crispy Hazelnut, Hot Cocoa, Choco Mint, and Tiramisu. The box is beautifully packaged. With the selection that hubby chose, the price is only PHP410.00! 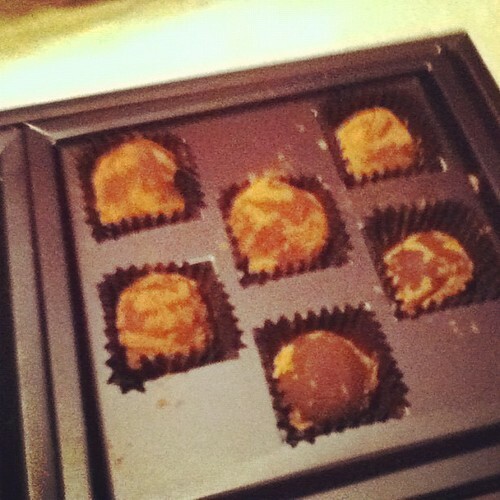 I LOOOOOVE Pam’s chocolates Che! My favorites are her Tiramissyou, Cookie Dough balls that Justin always asks me to buy, Almondacious, Rocky Road — lahat na ata. So glad you like it too!